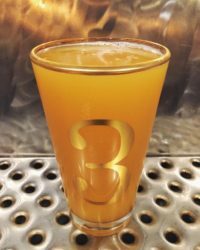 Our 3nd Anniversary double IPA made with passion fruit, tons of wheat malt and a correspondingly shocking amount of hops. Namely Mosaic and Simcoe for added fruit notes. Also one in the Haze Craze series of beers. At 8% it truly might be good night my friend.